After bitter negotiations and surrounding the Oshawa assembly plant between General Motors and Canadian union Unifor, the Ingersoll assembly plant will now be subject so layoffs. I’m a bit confused , first the local 88’s President Dan Borthwick said the layoffs are ” permanent in nature ” . And then the GM Spokeswoman states ” this is just a natural course of business ” and depending on how sales are the jobs could return because GM expects major growth in the segment !?! 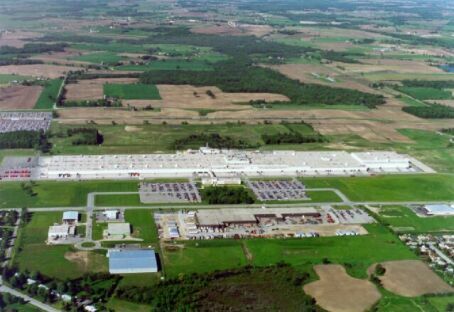 After spending $560 million dollars at the facility , either the body , paint and trim shops were completely revamped with the latest automation or GM may just have plans for another vehicle to replace Terrain . I’m all for unions fighting to retain jobs for its membership but Canada or Unifor ( CAW ) have always had a love hate relationship . They should just get to the business of building a high quality Nox in the hopes that those 600 people do get called back . It’s expensive to build basically the same vehicle in two different facilities . What else will be built along side the Terrain . Sales of the current 8+year old Equinox have done very well, in spite of being long overdue for a complete redesign. Looking at the 2018 Equinox, It’s clear to see that GM has made a significant investment in this completely all new Equinox. The Equinox should now turn into a very competitive offering within the small to mid sized crossover/SUV segments. I would bet on higher production/sales volume for this new model, resulting in a call back of those 600 layoffs.